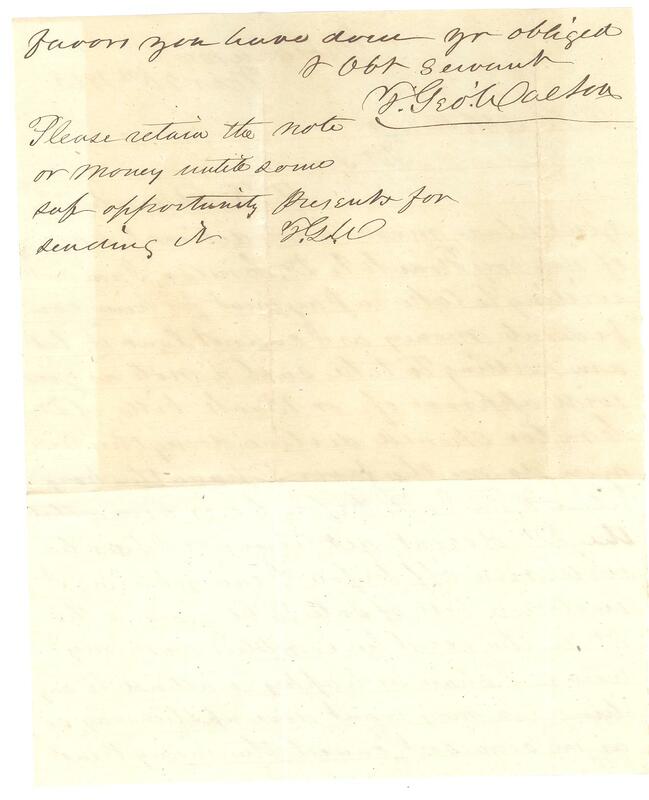 Item Description: Letter, dated 20 March 1863, from T. George Walton to O. Bartlett, Esq., relating to the sale of a slave and the seller’s refusal to accept Confederate money. Item Citation: 20 March 1863 letter from folder 151, in the Lenoir Family Papers #426, Southern Historical Collection, Wilson Library, University of North Carolina at Chapel Hill. 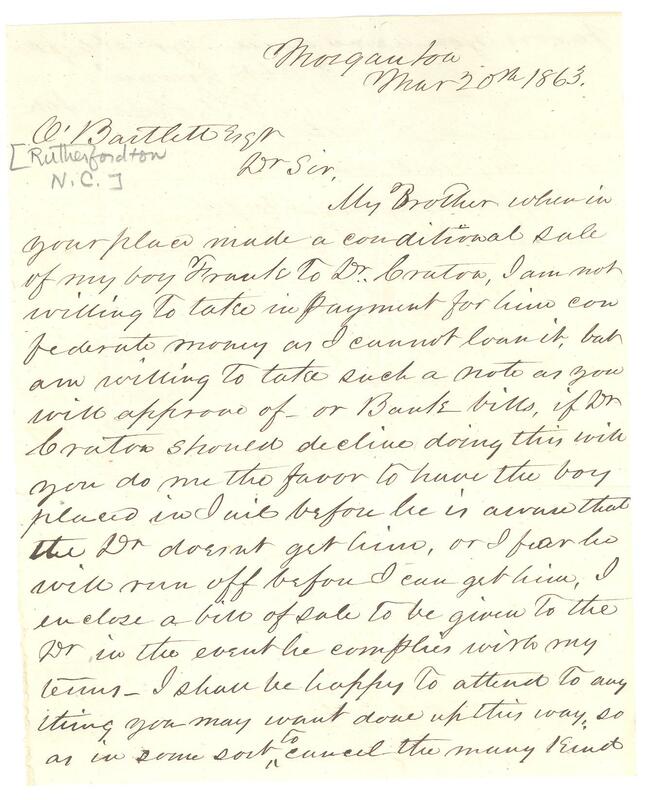 My Brother when in your place made a conditional sale of my boy Frank to Dr. Craton, I am not willing to take in payment for him confederate money as I cannot loan it, but am willing to take such a note as you will approve of or Bank bills, if Dr. Craton should decline doing this will you do me the favor to have the boy placed in jail before he is aware that the Dr. doesn’t get him, or I fear he will run off before I can get him. I enclose a bill of sale to be given to the Dr. in the event he complies with my terms. I shall be happy to attend to anything you may want done up this way so as in some sort to cancel the many kind favors you have done. Please retain the note or money until some safe opportunity presents for sending it. This entry was posted in Southern Historical Collection and tagged Lenoir family, slave, slavery. Bookmark the permalink.